Choosing the right plant ties is key to protecting your plants’ stems as they grow and we’d recommend using VELCRO® Brand Garden Ties. They’re soft on stems and easy to adjust as your plants grow. Strong and weather-resistant, they come in a single roll that can be cut to size to suit your gardening needs. Watch the video below for Charlie’s Nardozzi‘s demonstration of how to use them. For older trees, we’d recommend using the wider VELCRO® Brand Tree Ties. 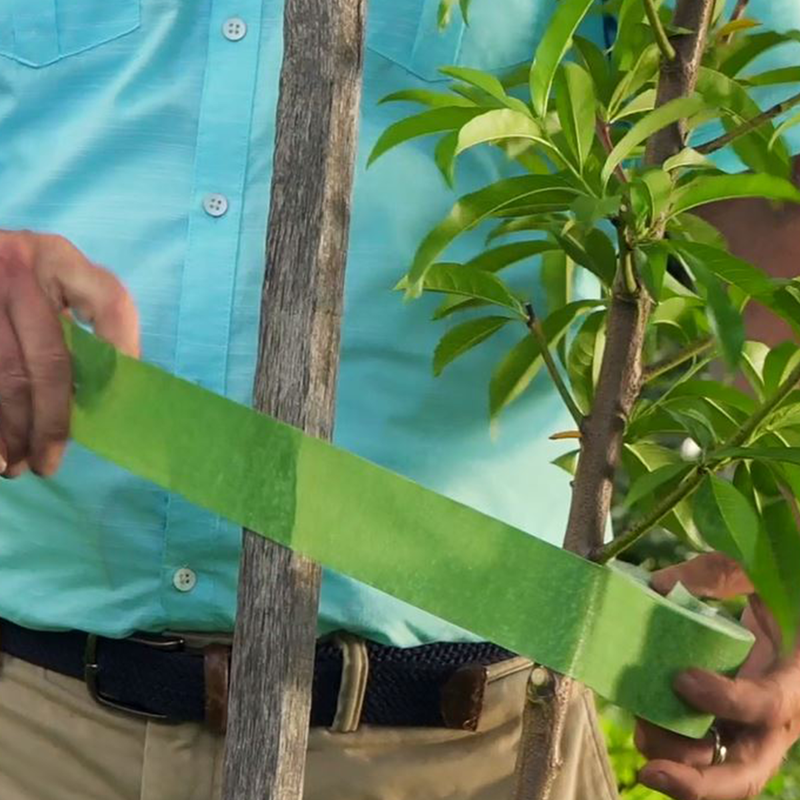 More convenient than wire or other types of garden ties, there’s no knotting or tying required, which makes them ideal for securing trees to stakes without damaging the stems. It’s much better to support your plants sooner rather than later. Rapid growth can cause them to topple over if not properly supported so make sure you stake your plants when they’re relatively young and actively seeking support. 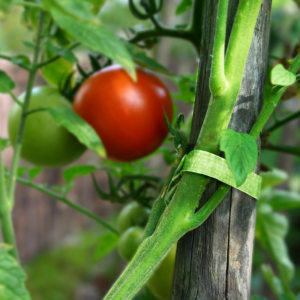 And the beauty of using VELCRO® Brand Garden Ties is that you can adjust them as your plant grows.